Click here for our 2010 line-up of trade missions and other events (in Dutch). In this fresh update we bring you positive news about the markets we cover. We hope to inspire you with new business opportunities, so that 2010 will all be about expanding your market coverage. Think of Brazil's booming economy with great upcoming events like the Worldcup 2014 and Olympics 2016. Or Spain's new Sustainable Economy law with high investments in renewable energies. And what about France's huge stimulus bill to improve innovation in a series of strategic growth sectors? We look forward to discussing the opportunities for your organization in a personal meeting at our office in Rotterdam or one of our other offices in Paris, Barcelona or São Paulo. To contact us please click here. We wish you a very successful export year 2010! French newspapers ended 2009 with the publication of ‘le Grand Emprunt’: the president’s promise for a better France in the near future with well prepared impulses for a new economy. The plan consists of investing € 35 bln in the French economy with a strong aim to strengthen innovation & competiveness. What are you waiting for? Heineken is to take over the beer brewing division of its Mexican counterpart Femsa, marking the second takeover by Heineken within two years. The company's CEO said Heineken would become a "much stronger, more competitive player in Latin America, one of the world's most profitable and fastest growing beer markets". Brazil’s arrival onto the world stage was symbolically marked recently by the award of the 2016 Olympics to Rio de Janeiro and the good news that it will host the football’s World Cup in 2014. Brazil has been shown its strength and flexibility during the recession: after a late downturn it came out quickly and is growing again at an annual rate of 5%. The Draft Bill for the Sustainable Economy Law defines the new growth model for the Spanish economy, based on innovation, technology, the internationalization of business, free competition and the efficiency of Public Administrations, to enable economic, social and environmental sustainability in the long term. When it comes to the modern aerospace industry, Mexico is becoming a specialist in MRO (maintenance, repair, and overhaul). 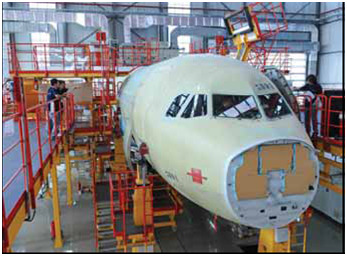 In recent years important investments in the aerospace sector have taken place in Mexico. After the most memorable privatizing project in Latin America‘s history at the end of last century, the telecom sector in Brazil has been growing steadily. Lately, the country has been rediscovered by telecom companies worldwide and a ruthless battle for the biggest market share has begun. Forbes Magazine’s ‘the World’s Happiest Cities” called out Spain as one of the best countries to live in. Barcelona was placed third, for its beauty of the city and surroundings, and the fantastic lifestyle that both living and business opportunities have to offer. Madrid was named sixth in the ranking. First came Rio de Janeiro, associated with qualities of a good vibe, good living and carnival: the state of happiness. Other cities in the competition were Sydney at number two, Amsterdam in fourth place and Melbourne ended fifth place. While visiting Brazil recently, president Sarkozy of France was offered a sparkling wine of excellent taste and he wondered himself which magnificent French Champagne that could have been. He would have never imagined that he just tasted a Casa Valduga GRAN RESERVA Extra Brut from ‘the new world’ Brazil, comparable with established good quality wines from ‘the old world’. Brazil produces 3,2 million of hectolitre of varied wine of good quality on a yearly basis and deserves a fifth place in the rank of biggest wine producing countries.